This is, of course, in reference to this comic. 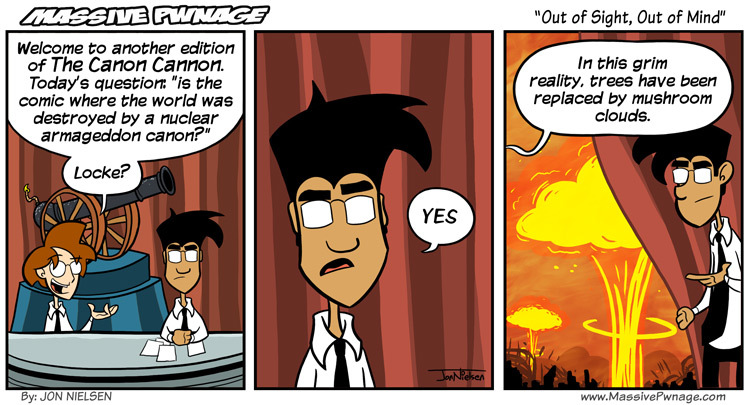 This entry was posted on Monday, January 3rd, 2011 at 12:00 am and is filed under Comics. You can follow any responses to this entry through the RSS 2.0 feed. Both comments and pings are currently closed. So… the shop’s gone now? I just thought I’d point out that this is an excellent reality in which to play Minecraft.